For the Type: Toyota Land Cruiser 1988-1992(USA market) & Toyota Land Cruiser 1985-1992(outside USA). Basic Info: type - manual choke, input voltage - DC 12V, material - heavy duty zinc alloy, part number: 21100-61200,21100-61300. High-Performance: improve throttle response for better performance of engine, add 5~10% horsepower and maintain near stock fuel mileage, easy to install and clean. 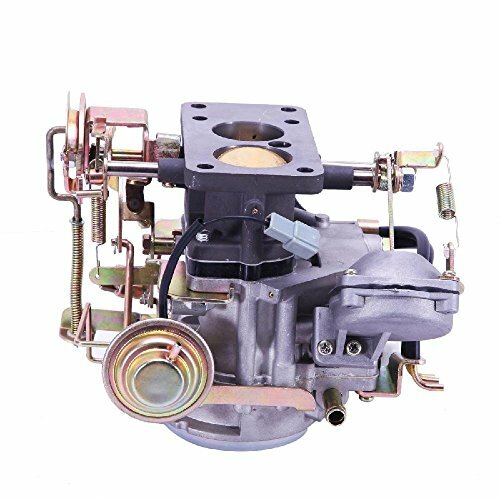 Notice: impurity in fuel may cause clogging in the carburetor, use the clean fuel pls, clean the automobile oil circuit and air filter before you install the carburetor for ensuring the carb work normally. What You Get: 1x carburetor replacement for Toyota Land Cruiser.